Video Game Firsts - The First Black Character In A Video Game | Warped Factor - Words in the Key of Geek. 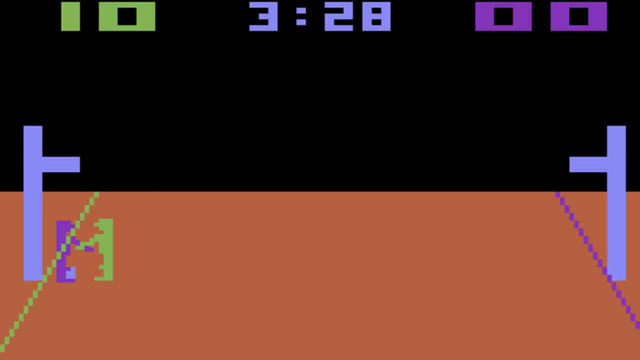 The 1978 Atari 2600 video game Basketball was a simple game of one-on-one basketball playable by one or two players. It was very well received, largely because it was one of the few early Atari 2600 titles to have a true single player feature with an AI-controlled opponent. 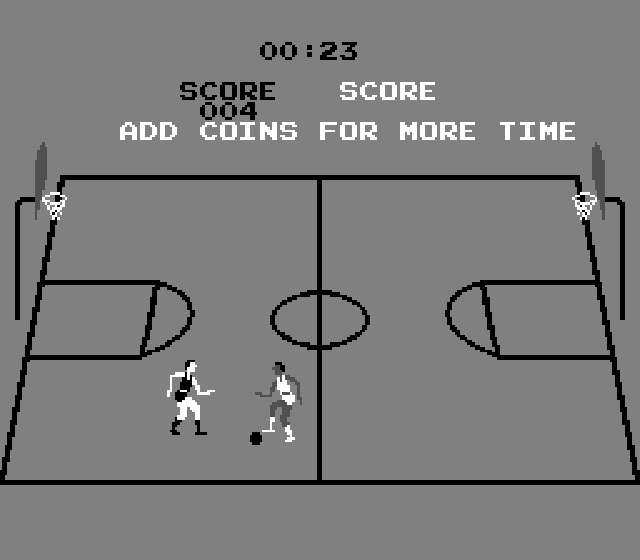 Reviewers described Basketball as "that rare game that plays well solitaire or with a human opponent", and noted that "the game definitely captures the flavor of basketball". Although both versions were programmed by different people, they both featured a playable black character. 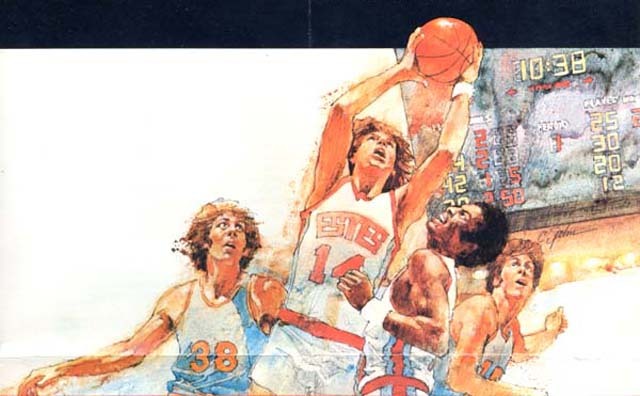 Illustrated black characters had been featured in printed video game literature and manuals before 1979, but these two versions of Basketball from Atari marked the first time in video game history that you could actually tell that a black person was being represented in-game. It was a big deal at the time and garnered a lot of press attention, whether that shows how much we've progressed since then or not I shall leave for you to decide, but it's worth noting that thirty years after Basketball's release, a 2009 study published by the University of Southern California titled "The virtual census: representations of gender, race and age in video games" showed that African Americans were finally beginning to appear in video games in proportion to their numbers in the real world. However it was quick to point out that black characters still tend to appear mainly in sports games and in titles that reinforce stereotypes.